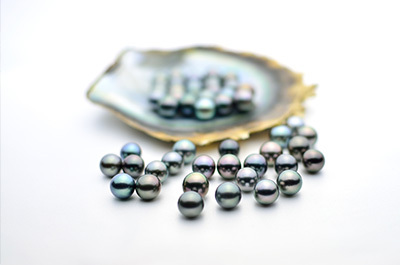 Black pearls are said to be naturally grown at a ratio of only one per 400 thousand black-lip pearl oysters, and have been legendary famous from ancient times and loved by royalty and nobility because of its rarity. 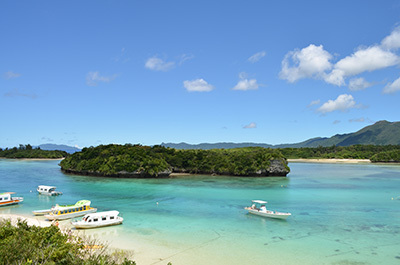 Kabira Bay of Ishigaki Island, the southernmost tip of Japan, is the northernmost black-pearl-producing place in the world, and the home of Susumu Tokashiki, a pioneer who established the technique of black pearl culturing for the first time in the world. 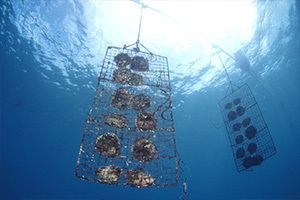 All of our black pearls are cultured by hand from carefully picking mother-of-pearl shells and inseminating to helping grow healthfully to be beautiful pearls. Seasonal change of the water temperature in Okinawa slowly adds delicate nacreous layers to the pearls to be unparalleled black ones with mysterious rainbow color and the finest luster. 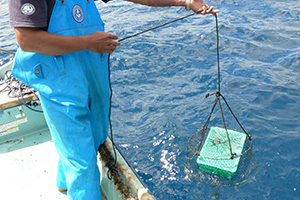 Black pearls and south sea pearls are produced by continuous research and efforts. 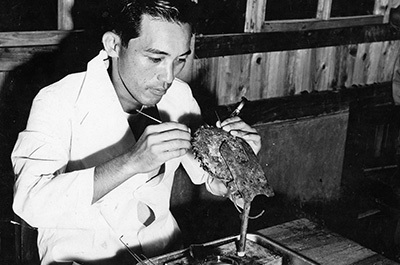 The quality has been maintained by inheriting the pioneer's spirit. 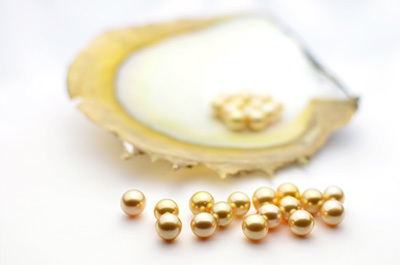 Inner glow created through the layers of pearls, which is the most important factor when selecting pearls. 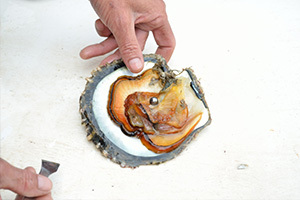 Pearl layers surrounding the nucleus, usually consisting of thousands of layers. Even and thick layers can add a beautiful luster. 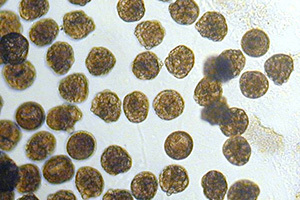 A tiny hollow created naturally during culturing is called as dimple. Pearls with fewer dimples are more highly valued, but due to its natural origin, pearls without dimples can rarely be found. 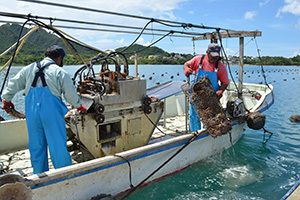 Pearls cultured in Ryukyu Pearl, our pearl farm, are not artificially colored. 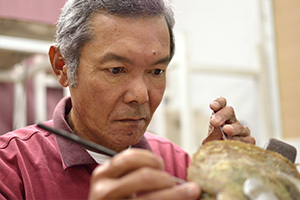 Their colors came from the colors of the mother-of-pearl shells. The impression very much depends on the colors, therefore we highly recommend you try several colors before you purchase pearls. Bigger ones are of higher value. Black pearls and south sea pearls come in various size - usually from 8 to 15 mm, and even bigger ones can be found on rare occasions. Pearls in the shape closer to perfect circle are highly valued, while teardrop-shaped pearls and baroque pearls have gained long-lasting popularity as unique accessories. 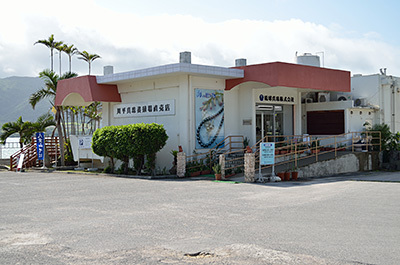 Factory store in front of Kabira Bay, where black pearls culturing started. Cafe nearest from Kabira Bay.